If you’re an Apple user, then you might be glad to hear that they have released the next version of their iTunes software, version 11. The desktop download includes a new MiniPlayer for playing tracks in a widget-sized window, an “Up Next” feature for cueing up songs and viewing what’s next at a glance, and if you can’t decide which tune to rack up, Apple’s software will now offer “instant recommendations” of its own. iTunes 11 will also endeavor to relocate your position within a song, movie or TV shows if your media consumption ever gets interrupted. Finally, iCloud integration will allow you to play back your library on any device, while an offline option should allow in-flight or underground listening sessions to continue without a hitch. 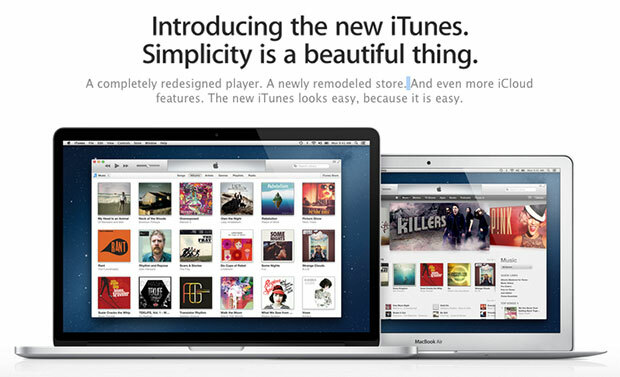 This is possibly the biggest UI change iTunes has seen since its initial release. In previous versions, I’ve had issues with it running on Windows with multiple users and the software would constantly freeze and I could only get it to run in compatibility mode. There’s pages after pages of people with the same issue in Apple’s support forums. Let’s hope that issue is finally fixed in this release! You can get the OSX or Windows download from here. If that doesn’t work, go through the App Store Software Update in your current version.